Good morning and welcome! A special welcome to anyone stopping by from Grace Covers Me , a beautiful and rich blog by Christine Hoover, where I have a special guest post appearing today, called High Hopes. 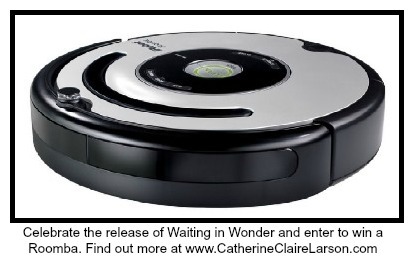 If you’re stopping by for the first-time, we are in the midst of 6 days of excerpts and giveaways to kick off the launch of my new book, Waiting in Wonder, released just last Tuesday, April 16th from Thomas Nelson publishers. 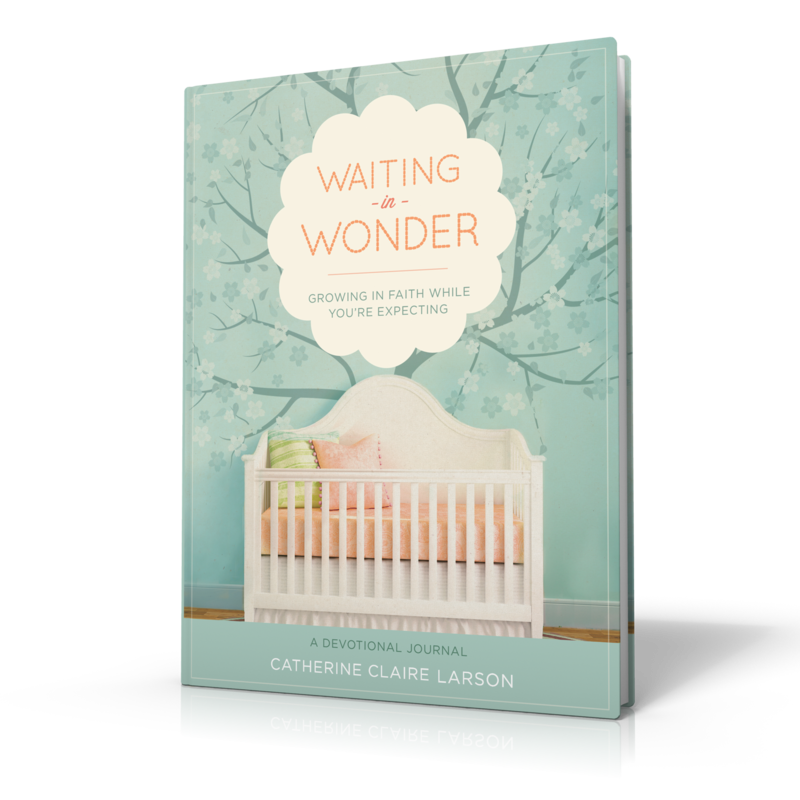 Today’s excerpt hits on one of the main themes of Waiting in Wonder: Growing in Faith While You’re Expecting and is near and dear to my heart. 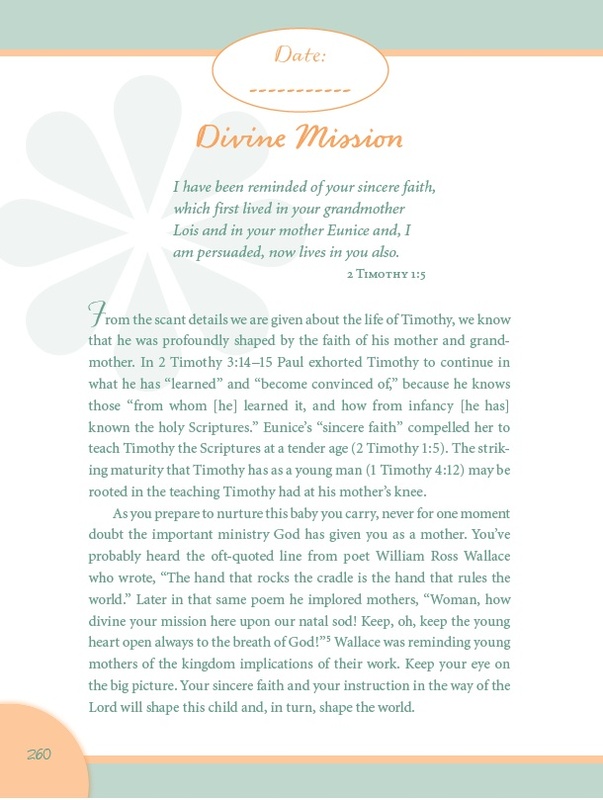 One of my hopes in writing this book was to exalt the high and holy calling of motherhood and to remind readers that their work as mothers is valued and of the utmost importance in God’s kingdom. 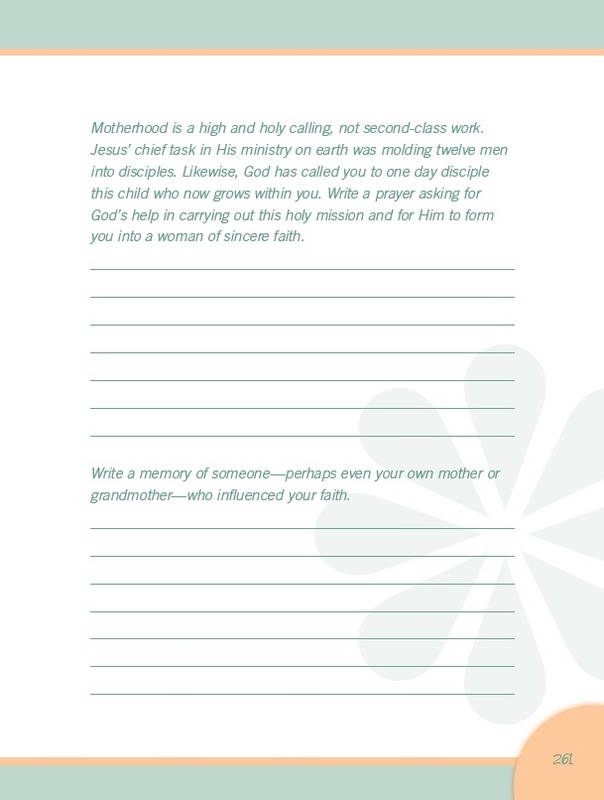 I hope to raise mothers’ eyes to see that they have been given a sacred calling, entrusted to them by God. This is not just physical work or even work that involves molding a person’s social and character development. This is work in the spiritual realm and as such has an eternal value and consequence. And speaking of our other giveaways they are still open until midnight on the 25th, so if you haven’t yet had the chance to enter to win an iPad mini, a $200 Spafinder gift card, or a Nikon Coolpix L810 camera, I hope you’ll check them out and read the excerpts I’ve already posted. And of course, if you haven’t yet gotten a copy of Waiting in Wonder: Growing in Faith While You’re Expecting I hope you’ll get one for yourself, for a an expectant friend, a future baby shower, or perhaps even to donate to a local crisis pregnancy center. Thanks for stopping by and don’t forget to subscribe so you won’t miss a post. We do so often forget that we are raising and training the next generation of believers, which is vastly more important than any job or project that we mothers can be tempted to make our focus. Thanks for this reminder today! Unfortunately I do not think they do. As a Man and a husband to a stay at home mom, it saddens me that the world does not value the importance of a SAHM. Unfortunately, I don’t think our American culture values motherhood, e.g. our maternity/family leave laws. I wonder what it will take to change? What a beautiful reminder of our calling of motherhood. I forget so often as so many days i feel under appreciated for my work as a mom especially when I work 30 hour weeks and i am still required to fill the need as if I was a stay at home mom. The lack of sleep and going non stop for everybody but yourself doesn’t help me in remembering for sure. Our culture as a whole does not, I think, value motherhood as a calling unto itself. I do believe that many churches are more receptive to the calling of a SAHM, and the blessings (and hardships) of a mother’s work! I certainly appreciate the support I’m given in my local church! I believe it has fallen by the way side. I truly believe that being a mother is the most important job there is. Mothers help shape their children for the world. My mother did a great job raising me and hopefully I will in turn raise my children to grow up with same values. I’ve found views on the importance of being a mother, particularly a SAHM, to be radically different among people I’ve talked with. Fellow moms tend to respect the choice of being a SAHM, whereas I’ve been surprised by the reactions of my husband’s colleagues (fellow pediatricians) when they find out that I don’t work outside the home. As for it being a holy calling–would that we were reminded of that more often! It is incredibly strengthening (and humbling at the same time!) to be reminded that our work is not just for here and now but has amazing lifelong and eternal implications. Unfortunately, I don’t think our society values motherhood as it ought to. Although, I live in the South where being a stay at home mom seems to be more highly regarded, which definitely makes me happy! I wonder sometimes if the whole movement toward “equality” of men & women in the workplace has fooled women into believing that jobs outside the home are more important or more fulfilling than the work of raising children. I wish our culture did, but I’m afraid that I’ve experienced it does not… being a Stay-at-Home Mom of two, one with special needs, I’ve found that when I say I’m a SAHM to my two adorable boys, people say things like, ‘what else do you do’, or ‘oh, that’s all?’ Being a Mom is the most important job in the world, but one of the least recognized… as I now have a tad more time to work on my furniture refinishing biz since my boys are in pre-k, I find myself having less to do than when they were home all day, but missing those moments! Motherhood can be an avenue to becoming God-pleasers rather than man-pleasers. Many people see a joyful, intact Christian family and wonder “How do they get there? How did that family achieve that joy?” That window into the sacred family life can be a beginning of a conversation, particularly as we learn to speak of holy things in an authentic, disarming way with others (rather than using proud “churchy” words. I am blessed to have a husband that values my work at home and encourages me often in this holy calling. Love your site, Catherine! No, I don’t think it does. I am so blessed to be able to stay at home with my children. I will have them all in school next year so changes are on the horizon. No, I don’t think so. I have been so blessed to be a SAHM. Next year they will all be in school full-time!! Sadly, I don’t think it does. I see a lot of mothers who tend to see motherhood as a mandatory duty, which expires once a child is 18. They enjoy the years when their children are babies, but as they become older some mothers see it as a burden. I’m grateful that my mother never saw motherhood like that. The more that embrace it the same way, the better. I think our culture values it, but doesn’t value it to the point where it’s looked at as a calling. More people should look at it that way though. Unfortunately, I don’t think it is a high and holy calling. Conversation usually leads to what did you do before and what are you going to do as soon as they are in school. There isn’t a sense of a calling and this could be what you are meant to do for the long haul. Not having grown up with a Chritian Mother, my Mother operated with certain shared “common grace” principles. Although, she unwittingly functioned as a Christian; teaching and loving me both ethically and morallly, it was God who savingly calls me Son. “Oh, the depth of the riches and wisdom and knowledge of God! How unsearchable are his judgments and how inscrutable his ways!” we are but “vessels of mercy” (Romans 9:23, 11:33). Click here to visit Digital Photography School.